As part of our mission, Children’s Historical Publishing encourages the children in our community to “look up” and see that the sky is the limit and they can achieve whatever it is they set their mind to. Our new book, Empowered Women, provides biographies and accounts of the many achievements Dayton women have obtained throughout our history. Though they faced seemingly insurmountable odds, everyday women in our community persevered and overcame to make our lives better today. One such barrier torn down was that of suffrage. More than 70 years of advocacy and multiple bills to legislators to demand women be included in the democratic process finally paid off in August of 1920. One hundred years later, every state in this nation is preparing to honor and celebrate women’s suffrage. Two years ago, S.847, part of the 115th Congress, also called the Women’s Suffrage Centennial Commission Act, was passed by congress and later enacted into law. The purpose of this commission is to encourage, plan, develop, and execute programming and events to commemorate the suffrage centennial and to serve as a national platform for state, local and private organizations to do the same. In Ohio, the call to action was received. 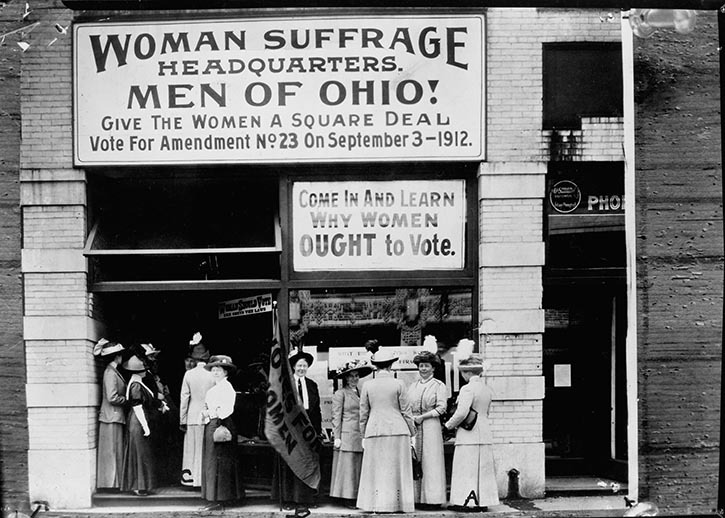 Senate Bill 30 was proposed to create a commission in Ohio to commemorate the 100th anniversary of women’s suffrage. In late February, the Senate unanimously passed the bill, and just last Thursday, the Ohio House did the same. Now we wait for Governor DeWine to sign the legislation. The attached article gives more details about the commission which will partner with the Ohio History Connection, the state historical society, to promote local events and provide schools with curriculum on women’s suffrage and the modern history of women’s rights. Please check out the article and stay tuned! As more events and programming are planned, Children’s Historical Publishing will keep you informed!